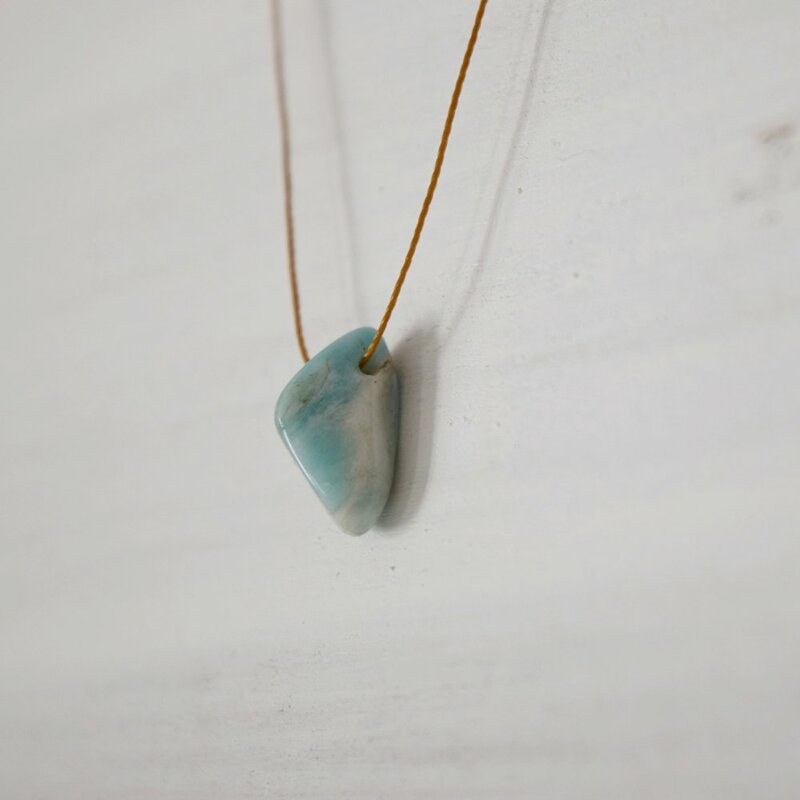 Add a splash of colour with a smooth amazonite semi-precious nugget, on a super strong silk mix cord. Each stone is a slightly different size, shape and colour, meaning that your necklace will truly be one of a kind. Available in two colours, each necklace is approximately 43cm in length. Handmade in our studio by the sea, each amazonite nugget necklace is complete with a sterling silver clasp and Catch The Sunrise tag.